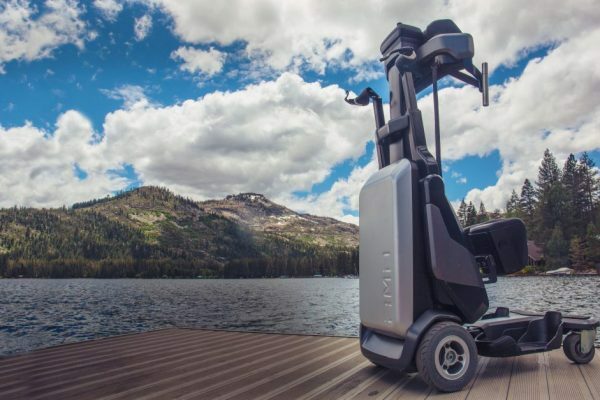 The Tek Robotic Mobilization Device is not a wheelchair alternative, but a brand new mobility platform that completely reimagines the way individuals with paraplegia and other walking disabilities are able to move in the world. The ability to independently and safely sit, stand, and navigate environments that were once inaccessible, is now possible, safe, and available now by reservation. Tek RMD is a patented, CE Marked, and FDA 510(k) cleared technology. We were so inspired by Bill Winchester's story, we've decided to give away a free Tek RMD. Click here to find out more. 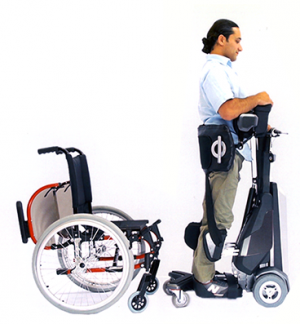 The Tek RMD can be maneuvered easily by the user and the user can board the device securely from its back. 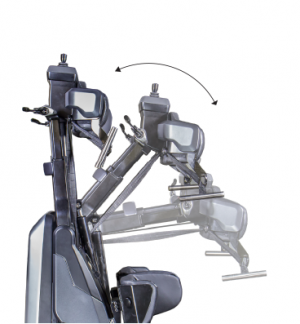 Mounting and dismounting the device can be done successfully in a much safer way since the user is doing so while in a seated position. It is very easy and quick to stand up and sit down with Tek RMD. The suspension system containing gas spring mechanism balances the weight of the user so that standing up requires a gentle pull. 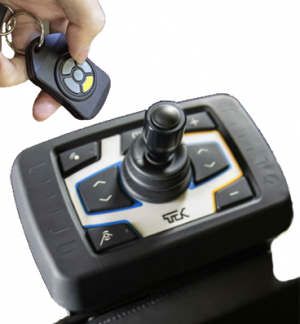 Tek RMD’s Remote Control allows the user to be free from the device. The user can sit on the couch, office chair, or lay to the bed, send the Tek RMD away, and bring it back with the remote control when needed. As of March of 2018, the Tek RMD is now proudly made in the USA. We occupy a full manufacturing facility in Salt Lake City, Utah where our passionate team takes the utmost pride in seeing each Tek RMD get shipped to a new user. "That self-confidence, that ability to be recognized as an adult standing. The mental element of looking eye-to-eye to somebody is a tremendous mental and moral accomplishment."